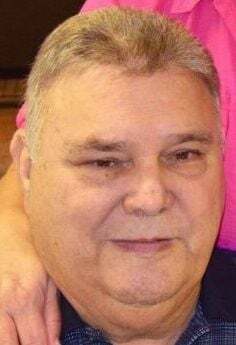 DECATUR -- Robert “Bob” Aldridge, 77, of Hutsonville, IL, went home to be with the Lord Tuesday, January 29, 2019 in the comfort of his home. He was born July 23, 1941 in Effingham, IL, the son of Cecil Eugene & Rosa Zetta (Wheat) Aldridge, both of whom preceded him in death. He was also preceded in death by his brother, Bennie Aldridge; by his brothers-in-law, Moe DeClercq and Jim Ashby; by his mother-in-law, Bobbie (Grubaugh) Jerden; as well as his cherished grandparents. A time of visitation will be held from 4:00-7:00 p.m. on Monday, February 4th at the Goodwine Funeral Home in Robinson. Another time of visitation will be held from 10:00-11:00 a.m. on Tuesday, February 5th at the Heartland Baptist Church in Hutsonville, where Bob was a member for many years. Funeral services will immediately follow and will be held at 11:00 a.m. Tuesday with Pastor Mike Delaney officiating. Memorials may be made to the “Heartland Baptist Church”, with envelopes available at the funeral home and church. For more information, or to share a memory or condolence online, please visit www.goodwinefuneralhomes.com.